Spotify for Windows Phone 8 is coming out of beta six months after the music streaming service landed on Microsoft mobile platform in February. The app is in line to get its first update which, alongside shedding the beta tag, brings improvements to offline playlists and track scrubbing. Like Spotify’s other apps, the Windows Phone version is adding support for more languages which comes after a first foray into Asia (Malaysia, Singapore and Hong Kong) and launch in Mexico. Update: The update has landed, scrubbing is the main addition. Word of the update comes via Windows Phone product head Joe Belfiore, who says the changes may take a while to become available worldwide, but are on the way. 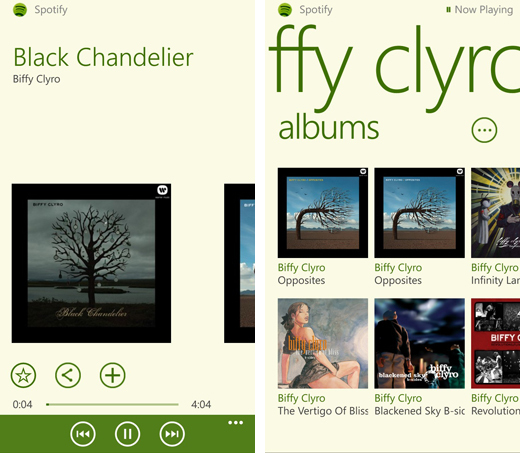 Hey music lovers… today #Spotify for #WP8 is out of beta! A big update: more languages, offline playlist improvements, track scrubbing! Spotify is one of the world’s most prominent music streaming services. Founded in Sweden, it has 24 million monthly active users, of which more than 6 million are paying subscribers. The app is free but premium membership, which allows tracks and playlists to be played while a device is offline, comes in at $9.99 per month. New users can sample the benefits with a 48-hour trial for free.